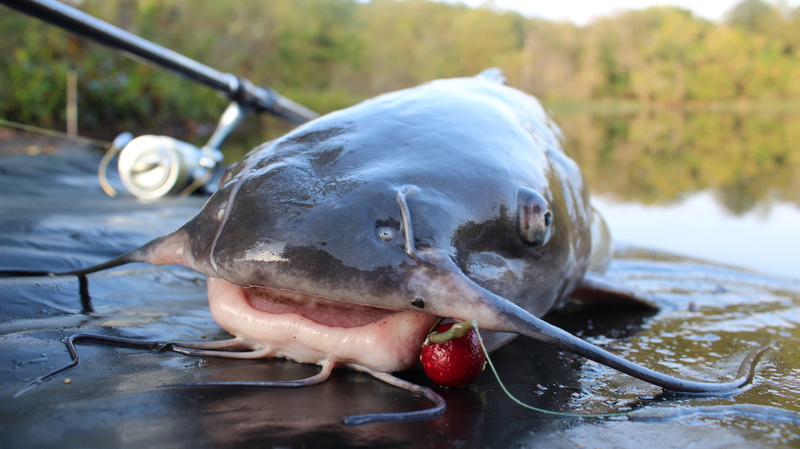 Catfish love plum boilies from Dynamite Baits. The biggest problem with most catfish baits is that they stink to high-heaven, they rot, and getting them takes too much prep work. For example: I love using fresh shad as catfish bait. However, before I can go cat fishing with shad I have to go out and catch shad. If the shad don’t cooperate my whole trip is affected. Chums like corn and sour wheat are great but I have to prep and boil them several days in advance and all the equipment (pots and burners and 50 lb bags of grain) take up a bit of room in my garage. Chicken liver goes bad too easily and stink so bad. 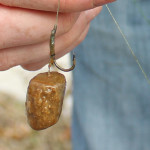 Manufactured stink baits such as dip baits, punch baits ect. work great and don’t rot easily but they are very messy and can be hard to cast long distances without the bait flying off. Also, if you leave it in your car accidentally your car will wreak for days. My solution to the problem is using cat fish boilies and pellets. 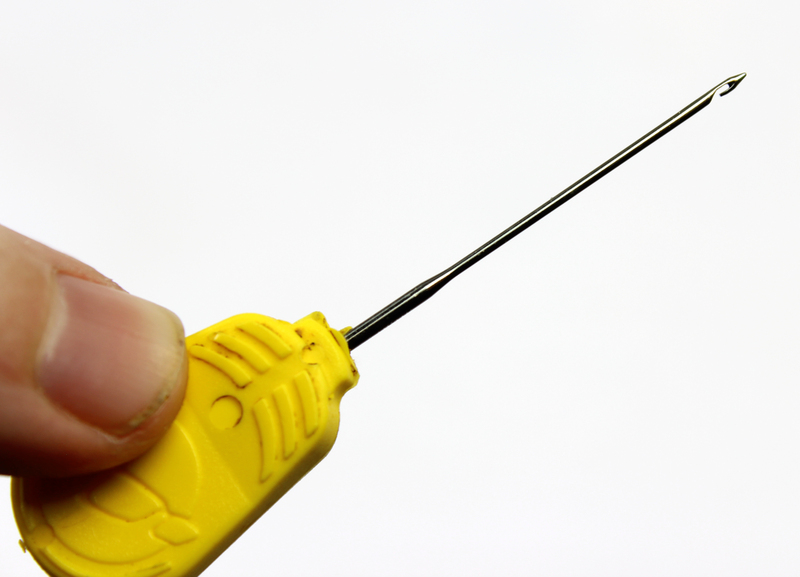 Catching catfish with boilies or pellets avoids many of these problems. Boilies are round baits. Boilies are basically flour eggs and various flavors and attractants mixed into a dough, rolled into a circle and then boilied. Some boilies must be refrigerated and some don’t need to be refrigerated. 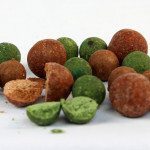 boilies burst onto the British carp fishing scene in the 70’s and 80’s but it wasn’t long before European and British cat fisherman discovered that boilies can work just as well for catfish. 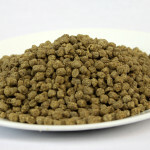 Catfish boilies generally have some sort of fish meal and seafood based flavoring. 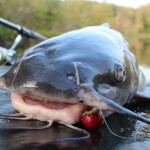 Monster crab, Marine Halibut, Crayfish, Squid, GLM clam are popular catfish flavors though they certainly are not the only boilies flavors that you can use to catch a catfish. Boilies work well for several reasons. first, they are non-perishable. I can keep a small bag of various boilies flavors in my tackle box at all times. If even I need bait it is there. I like this better than dip or punch baits because its not messy. It won’t leak if it tips over in the hot sun. It doesn’t get my hands disgusting. It doesn’t make all my gear smell like punch bait. Another advantage of catfish boilies is that you can cast them farther than any other bait I know. Boilies on a hair rig do not come off while casting. You can hurls them well over 100 yards with the right rod and reel. This means that you can fish locations that no other shore based cat fisherman can reach. An $8 wrist rocket from walmart can be used to shoot other boilies out at your fishing spot if you want to chum some boilies around you hook. You can’t do that with chicken liver! The down side to boilies is that they are hard to find for sale here in the US and they require some cheap but specialized equipment in order to use them. 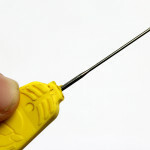 In order to use boilies to catch catfish, you need several things: 1) A baiting needle, 2) bait stops and 3) you need to know how to tie a hair rig. None of these thing are expensive or difficult but they are necessary. 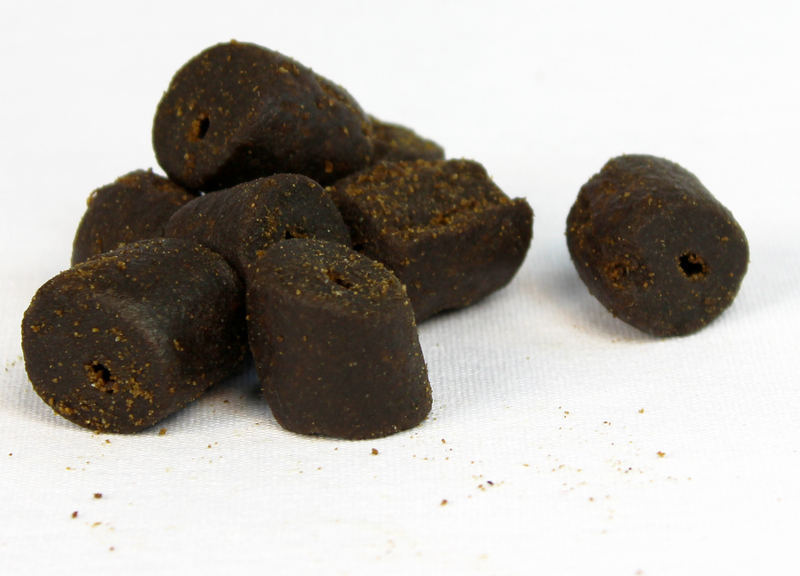 Catfish pellets are basically the same thing as boilies except they are not round, but cylindrical and they come in a wider variety of sizes. 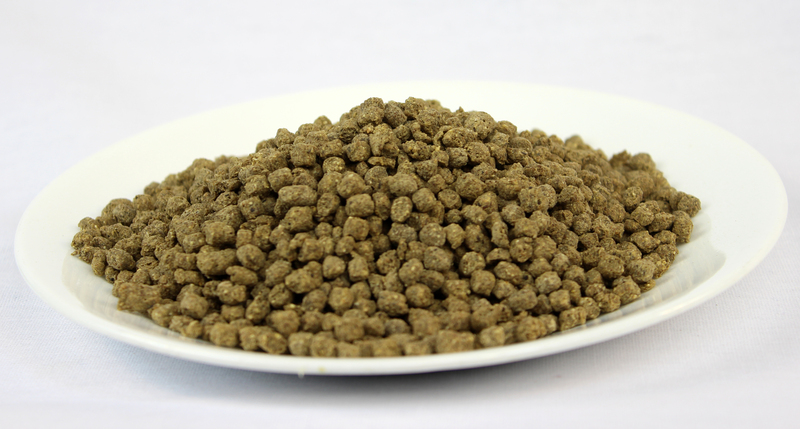 You can get catfish pellets that are the size of a grain of rice or over an 1 1/4 inches in diameter. Pellets work great as chum because of there smaller size. 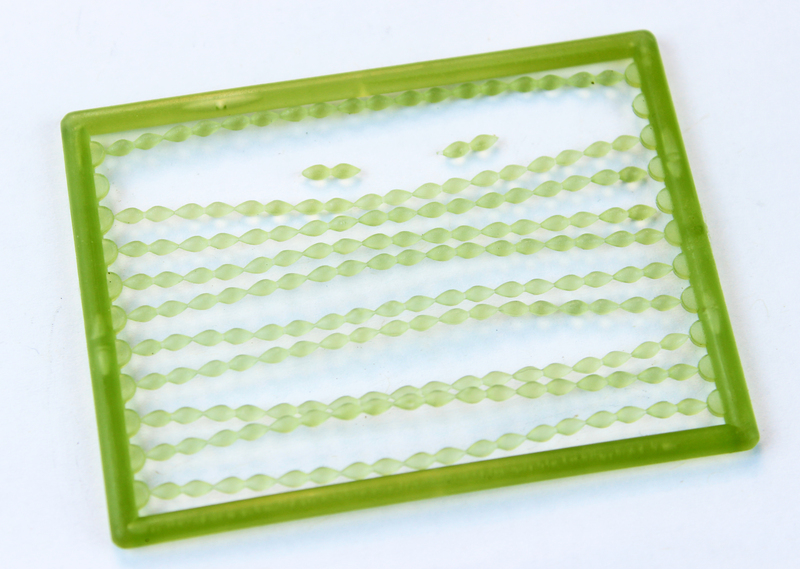 You can spread them out more liberally without fill up the catfish’s stomach. The smaller size also means that it takes the catfish longer to find and eat all the pellets so you can keep the catfish hanging around longer than chumming with larger bait. 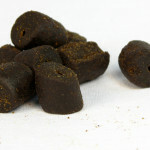 Catfish pellets require the same equipment and techniques as catfish boilies. You’ll need a baiting needle, bait stops and you’ll need to know how to tie a hair rig.